Miracles through Pranic healing is a landmark in the field of energy healing. 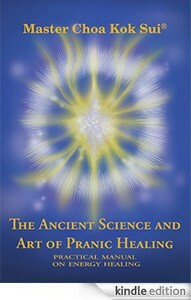 This epochal volume, along with its author Grand Master Choa Kok Sui, has achieved phenomenal success, crossing the borders of every continent, bringing hope, healing and empowerment to millions of people since its first publication in 1987 under its original title, The Ancient Science and Art of Pranic Healing. This book, presents in a simple and systematic manner, principles and techniques that anybody can learn and master – with effective results! With the use of Prana, the energy that animates life, one learns to assist the body to regain health, and accelerates its healing process. Inside are the testimonials of many patients and healers attesting to the restorative powers of Pranic Healing. The first in a series, Miracles Through Pranic Healing has been translated into over 30 languages and published in more than 70 countries. the number of Pranic Healers operating from their homes or in healing centers and clinics has grown by leaps and bounds. They can be found in almost all major cities across the globe.